June | 2014 | Thy Glory O' Nigeria..! FAAN Or NAHCO: Who Employed The Criminals Pilfering At MMA? The theft of valuable and cherished personal belongings from the baggage of passengers arriving at the Murtala International Airport is a big deal. It is time to call out the management of the Federal Airport Authority of Nigeria (FAAN) and the directors and management at Nigerian Aviation Handling Company (NAHCO) Plc to answer questions on why travellers’ items continue to grow wings on a daily basis when they arrive at the International Airport, Ikeja. One anonymous Mr. Lagbaja spoke on behalf of NAHCO when Premium Times made enquiries about the pilfering of baggage at Lagos airport. His comment was typical: no passenger had come forward to report the matter to NAHCO! OK! We are doing so now. I am making a report on behalf of thousands of people who have complained about these criminal activities over the past decade. 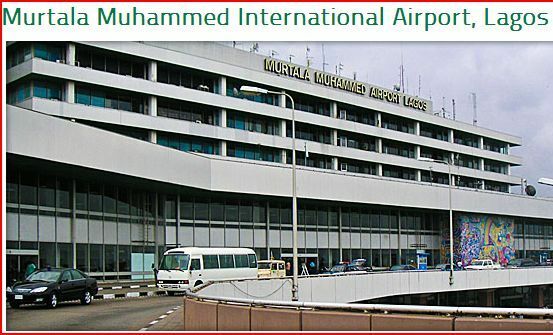 The truth of the matter is that there are criminals working at the Murtala Mohammed Airport (MMA) and they are responsible for the theft of items from travellers’ bags daily. Arik airlines spokesman Ola Adebanji said that missing items from aircraft was commonplace worldwide citing instances from the US. I think it would have been better for this man to keep quiet rather than exposing his ignorance on public relation management. Then the NAHCO employee continued, our Mr. Lagbaja said that if such incident occurred, the passenger had the right to report the matter to the airline he or she used for the trip. “We advise the victim to formally report the incident either to the airline or the Consumer Protection Unit of the Nigerian Civil Aviation Authority at the airport”. Why don’t people report the theft of their personal belongings that occurred before the baggage hits the conveyor belt? The answer is too simple. People don’t believe that reporting the thefts will bring back their belongings. Almost every traveller knows that it is no-brainer to tackle FAAN or NAHCO workers at the Airport on missing items. The question and answer sessions that will go along with the reporting which may include making a police report can cause a fragile traveller to develop a heart attack. So, indeed nobody will be willing to make any report. No one has the time to drag issues with airport authority on missing items. It is different when the suitcases or baggage do not arrive. Then it’s normal to take up such cases with the concerned airline. Somebody or some people at MMA, FAAN or NAHCO should be getting sacked if the seriousness of the matter is to be handled appropriately. The undeniable fact is that criminals open the baggage of travellers and they pick out items that now include hand-held computer tablets. These disgraceful acts take place usually between landing and when the bags hit the conveyor belts. Some of my friends who visited Nigeria recently (this year 2014) had tales of woes to tell about the items that were stolen from their baggage. I am not talking about one person only; I am talking about a group of people whose items were ransacked between landing and the conveyor belts. Gifts bought for friends, family and even children went missing. This week, I read how several passengers are also lamenting about their missing shoes, bags, gift items and other accessories that they thought should be saved in their travelling bags. The report was in the Premium Times of June 16 2014. How did criminals get on the employment services at such a sensitive place as the International Airport? There are so many investigations that need to be done regarding these persistent criminal activities. For example, what is the connection between the length of time it takes for the baggage to hit the conveyor belt and the numbers of items/ goods stolen? Are the long delays in delivering the baggage to the conveyor belts connected to the fact that these men and women who are off loading the aeroplane need so much time to open and pilfer travellers’ baggage? Is it part of the employment contract that you must be sticky-or light-fingered to work at that department at the airport? Who takes away all the stolen items? Are the stolen items delivered or remitted to the bosses and directors and shared among all the “criminal” workers? What is going on at MMA? What is going on at FAAN? What is going on at NAHCO? Who are we going to hold responsible for the missing items? The workers? The Directors? The Board? When some of us complain about these things, we always hear some people say “noo o! !” that was before! Nobody is stealing again at the airports! We have heard similar stories before at the sea-port; we hear…noo o! No more port rats! Then importers started welding their cars and vehicles like armoured tanks before they hit the international waterways heading to Nigeria! But the denials on the part of Nigerian airport authority or NAHCO are the usual lies! There are definitely still criminals working at MMA, just the same way the sea-port rats never left. It is not acceptable when airline or airport officials state that these criminal activities are common around the world. There is a difference between lost and found items or forgotten items and the items that are deliberately removed from travellers’ bags by airport workers. The act of pilfering is not common around the world. In any case there can never be a good reason why criminals should be employed and allowed to remove things from our bags at MMA. Are there cameras at the terminals to follow the arrival of aeroplanes at the terminals? Are there cameras to follow the progress of baggage until they hit the conveyor belts? At what point exactly do these “airport rats” have the courage to open bags and suitcases and remove items? Who is the head of this organised crime at the airport? Is it something that is approved by the directors of FAAN and NAHCO? Someone heads the human resources department where these criminals were approved for employment. That person’s integrity is also at stake here. So also are the managers or directors in charge of landing and transportation of baggage from the aircrafts to the arrival hall. Again, many people are too busy and do not have the time to bring about their cases to the appropriate authorities. This is because once the items are gone, there are no means to trace or find them. People are tired of the way things work in Nigeria. They don’t trust the system and they just “conform” and move on with their lives. The severity of this painful experience of pilfering cannot be over emphasized. My friends lost so many valuables that they were almost crying when they narrated their stories. This cannot continue and this essay should not be treated as a rant. There is a need for action and I hope that the directors or board members who are tagged in this essay will find a reason to call an emergency meeting to address the embarrassment that the staffs of MMA/FAAN/NAHCO are causing them and their reputations. Some of us have great difficulties to work out the functions of the various uniform people at the airport. We get totally confused by the several people doing the job meant for one computer or a simple machine! We need answers (and not denials) from the management of both FAAN and NAHCO. FAAN is a service organization statutorily charged to manage all commercial airports in Nigeria and to provide service to both passengers and airlines. Its managing director and chief executive at the corporate headquarters in Ikeja Engr Saleh Dunoma must ensure that stealing from passengers’ baggage ends immediately. He cannot claim to be new on the job. Mr. Wendell Emeka Ogunedo is FAAN’s director of security services. Dear Mr. Ogunedo, how secured are our baggage when they arrived at the airport in Ikeja? Hajia Salamatu Umar-Eluma is in charge of FAAN’s human resources. Ma, does your office run a background check on those people moving our baggage at the airport in Ikeja? Is it NAHCO’s fault that our things are stolen? Barrister Ikechi Uko is the director of administration. Can he tell us how security measures will be administered to stop this mess? FAAN must work together with the other agencies at MMA to ensure that they put an immediate end to pilfering at MMA. NAHCO’s mission is to be the leading service provider in the African market. Unfortunately all the core values of NAHCO are questionable with this permanent trend of stealing from passenger’s baggage. There is no integrity when bags are opened and things stolen from them. There is no respect for individuals when NAHCO workers steal from passengers. The chairman of NAHCO Mr. Suleiman Yahyah must call his workers to order. Nigerians need to be sure that the stolen items are not ending up on his desks! The vice-chairman is NAHCO is Mr. Denis Hasdenteufel. How is he working together with the chairman to ensure that criminals are not working for NAHCO AVIANCE? Altogether there are about 12 directors at NAHCO. Their areas of responsibilities and job descriptions are other areas that would be of interest when some of us look for information on NAHCO’s website. 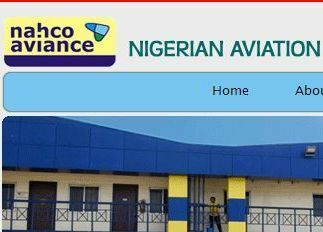 It is clear however that NAHCO is responsible for aircraft handling, amongst other services that it provides at the airport. An average traveller does not really know the interrelationship between FAAN and NAHCO or their terms of agreement. People just want to be sure that when they travel to Nigeria that their bags are not tampered with. As a people heading to Nigeria we don’t want to develop any panic or heart attack just because some thieves working for NAHCO or FAAN are going to steal our personal belongings or the gift items in our baggage. Those who manage the Lagos Airport must stop living in denial. They should wake up; smell the coffee and live up to their responsibilities. What is important is for them to educate their workers. NAHCO for example must ensure that its core values do not exist only on papers, but in actions. By all or any means, those whom we entrust with our baggage must stop stealing our personal belongings. Governorship Election will hold in Ekiti State Nigeria on Saturday June 21 2014. So many things have happened that simply makes this election a shame or a disaster waiting to happen. During his campaign the ruler of Nigeria Mr. Jonathan promised to develop Ekiti if the PDP candidate Mr. Fayose wins the election. This is such a stupid comment and it is difficult to ascertain the mental state of Mr. Jonathan is what it takes to develop Ekiti is for the PDP candidate to win. 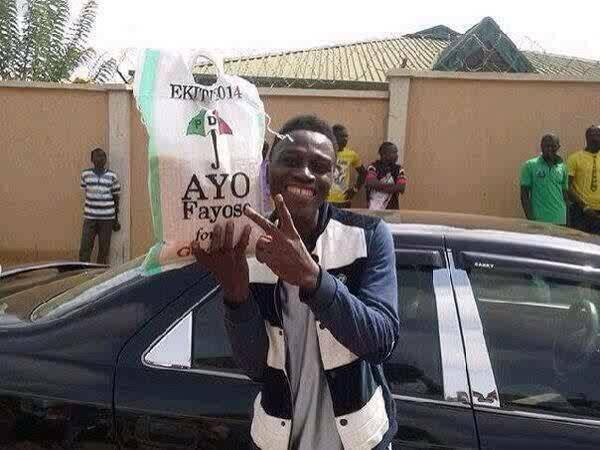 Mr. Fayose and Mr. Fayemi have been alleged to be distributing raw and cooked rice to woo voters. 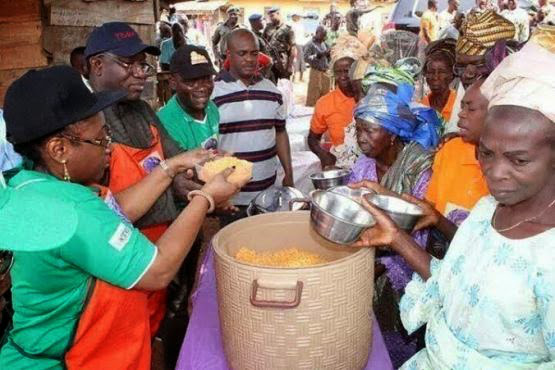 There are so many pictures flying around on the internet and especially on social network that shows how rice has been used as one of the campaign instruments. A lot of monies that will not be accounted for have been spent by both the PDP and the ACP, the two main parties hoping to “seize” power in Ekiti. Now, the latest in the series of the disgraceful countdown is that the Nigerian Police is now storming Ekiti with guns, ammunition and dogs. When “armed forces” and dogs are unleashed for the purpose of election, you can tell how the mentality of the average Nigerian works. Elections in Nigeria are do or die processes because the next governor of Ekiti as in the case at hand is going to be the custodian of the state treasury. This battle has very little to do with public service but a lot to do with ego and personality. It has a lot to do with the potential looters of public funds in Ekiti State. These are the tragedies of the nature of politics and public service in Nigeria. During and after the elections, the death toll will be interesting to know. When is this country Nigeria going to grow up? It is the people of Nigeria who have turned all their attentions away from what brought them to the present predicament that threatens the totality of their existence. The thieves in government have kept their focus intact. In almost every part of the world one of the most talked about phenomena these days is undoubtedly the “bring back our girls” campaign. It is this sort of scenario that some opportunists (individuals and groups) have waited for to bring them back to public space and to win sentiments borne plainly out of hypocrisy and eye/lip services. Some are simply capitalising on the situation to give their own agenda a lift. Meanwhile as the government of Nigeria was perambulating and talking rubbish everyday and buying the time it doesn’t have, the business of stealing and cover-ups in government are going on as usual. It is possible because stealing according to Mr. Jonathan is not corruption and because the people are suffering from the Nigerian syndrome. I have defined the Nigerian syndrome in a previous essay. One thoughtless fellow called Maku spoke on behalf of the government and said that it is the main opposition party that is organising the “bring back our girls” campaigns. I didn’t know that all the people bouncing on the trampoline of the campaign around the world including notable celebrities in Hollywood now belong to the Nigerian APC. The APC of Nigeria must be the biggest political party in the world. The people of Nigeria are easily distracted. This is a recurring dilemma for them. They cannot keep up with the loads of distractions provided by the failed and selfish governments since 1960. They don’t asked questions once you load them with deceits. When they asked questions, they move onto the next thing without seeking answers to their questions. Stupid answers are often satisfactory. These are parts of the reasons why nobody has found the courage to call Babangida a thief and initiate his prosecution for all the missing oil money during the gulf war. Invariably, from one failed government to another the stories are similar. Oil money is always missing. If it is not at the NNPC, it will be among the execu-thieves. This oil money is so slippery it can also get missing at the state and local levels. As a tradition, oil money is always missing in Nigeria. Now Nigerians have forgotten about the unanswered allegations of several billions of dollars that the Jonathan government also cannot account for. This confused government set up a committee to look into the matter. That in itself is a partial admittance that something is missing anyway. Then in the middle of the entire wahala Mr. Jonathan went on air during his chat to tell the world that “America will know” if billions of dollars is missing. Why did Jonathan set up a committee to ascertain the allegations made by the central bank? Mr. Jonathan should just have asked “America” since “America will know”. Anyway the senate committee has now dismissed the allegation and concluded that “no money is missing”. This is despite the fact that there is absence of proper coordination between Nigeria’s financial bodies concerned with the sale of crude oil. We can now turn off the sound of Fela’s music-Oil money is (not) missing. In any case the Nigeria house of representa-thieves and legis-looters are not unfamiliar with the way the corrupt government of Nigeria operates. Nigerians have myopic memories and are long-suffering. Nigerians are the most distracted group of citizens in the world. They suffer from their own syndrome-the Nigerian syndrome. Many arguments, verbal or written efforts to make Nigerians reason are lost on many grounds not least on the tribal cards. Don’t argue with an average Nigerian on the tenets of good governance. The Nigerian syndrome is yet incurable. 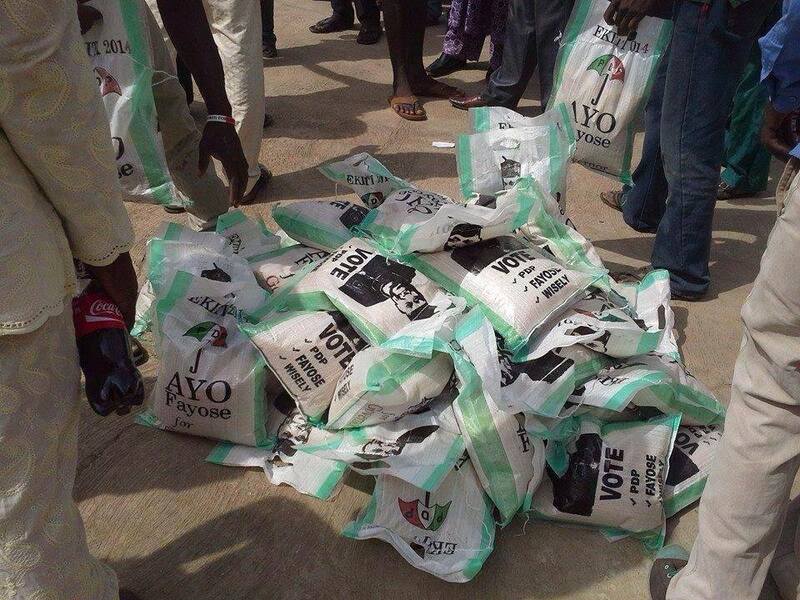 Yea right, the problem of looting did not start with Jonathan…why should we complain now? Why did you leave out Obasanjo? 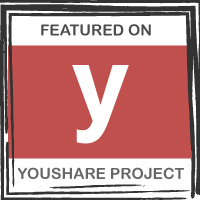 What of Shagari? The reasons not to start and finish the war on bad governance have been integrated into the cycle of idiocy in downtown Bongo. 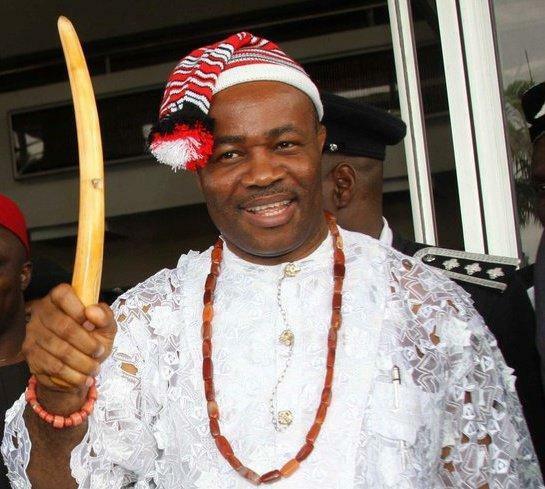 The ethnic card will even be used to justify the crimes committed by one governor Akpabio. This man has ruled for 7 years in Akwa Ibom and as he prepares to leave the seat of government, he ensured that his financial future is secured. In Nigeria, criminals continue to parade the government houses in different forms and shade. There is definitely going to be an argument that he was a good governor or that he could have looted the money anyway like Babangida and others. In Nigeria a critic may never win any argument. The Nigerian syndrome is vast. Nigeria remains in a big mess today for several reasons that some of us are not tired to write about every week. It is very important that the collective intellectual consciousness of the people do not give in. It must not dwindle. It must tarry and persist. For in relenting, evil will continue to rise and subdue good totally. Nigerians must ensure that the non-corrupt intellectual class rises up to do the needed. In several states in Nigeria, former criminals, former thugs and former riff-raff hold sway in governance. Government has been used to reward insolence and barbarism. In government it has remain impossible to be above board. All who come into it exit it as criminals or with criminal tendencies. It’s worse for those who came in as criminals. Regardless they all ruined Nigeria! In every region, in every community, in very part of Nigeria, there is a need to change the mentalities of the people. I am aware of the agitation of the people from Western Nigeria. They are seeking self-determination or autonomy. But they must know that some people amongst them were part of the problems with Nigeria. They have been part of this nonsense going on in Nigeria since the fake independence in 1960. Therein lies a huge danger ahead should Western Nigeria emerge today. The autonomy of Western Nigeria should not be sought as a license for the elongation of criminalities in the Oduduwa region. Before dawn, the Yorubas should have a full functional road map and blue print that will ensure that their self-governance does not lead to self-destruction. In the end all the geo-political regions of Nigeria should be allowed to determine their own future. 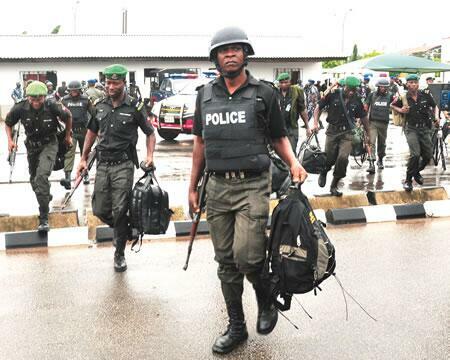 The benefit or probability of marching on Abuja/Aso rock by criminals and terrorists should be zeroed. I strongly hold the personal view that irrespective of the aims of the Northern terrorists, and irrespective of the primary goals of their sponsors, the dismantling of the useless unitary government will promote the emergence of regional autonomy and make a complete mess of their ambitions. Who will march to Abuja or throw bombs in Abuja if there is no government there to be overthrown or if the power in Abuja is ceremonial? I reiterate that no group of people would allow its own race to self-destruct or to be persecuted unjustly when the conditions for social justice and fair play are the rules and not the exceptions. A word is enough for the wise goes the Yoruba adage. When received, it becomes whole within. Talking about social justice, what is good for the goose is good for the gander. 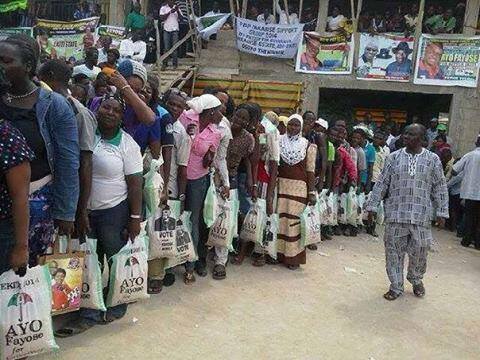 I hope that Mr. Akpabio has made plans to ensure that all the unemployed people of Akwa Ibom will enjoy some benefits. 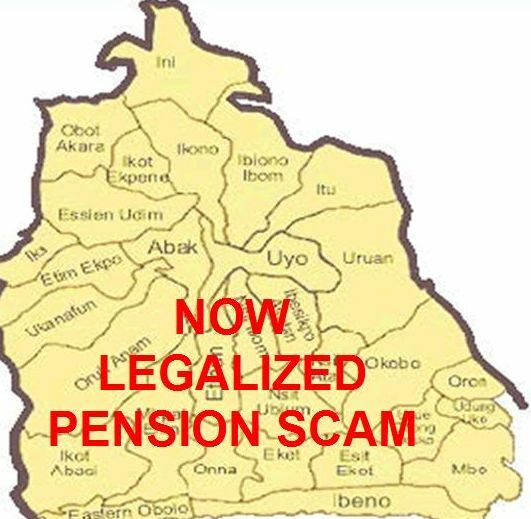 If the people of Akwa Ibom have no social security in place, they have the right to sack all the dummies who rubber-stamped Akpabio’s looting largess. If the people of Akwa-Ibom remain quiet and passive, they are drowned in the Nigerian syndrome. They are probably distracted as the looting continues. They are not alone, Nigerians are all guilty of the lack of will to sack corrupt governments and make them face proper justice. They are guilty of being at home with a system that is not working. It beats my imaginations!